On this anniversary of 9/11 we express our gratitude for everyone who keeps us safe and protects our freedom in our daily lives. 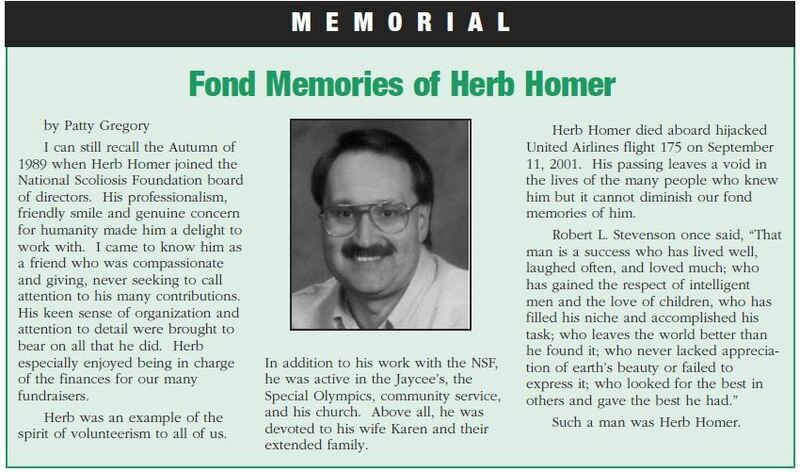 We also remember the people and families greatly impacted by this terrible tragedy, especially for our friend and fellow Board Member, Herb Homer, who was aboard United Flight 175. May he forever rest in peace. The Food and Drug Administration (FDA) is announcing a public workshop entitled “Medical Device Patient Labeling”. The purpose of the public workshop is to discuss issues associated with the development and use of medical device patient labeling including content, testing, use, access, human factors, emerging media formats, and promotion and advertising. The Center for Devices and Radiological Health (CRDH) is seeking input about these topics from patients and advocacy groups, academic and professional organizations, industry, standards organizations, and governmental agencies. This workshop will be available by webcast. CDRH encourages patients and patient advocates/organizations to participate. The #National Scoliosis Foundation is building a new website to mark our 40th year of service to the #scoliosis community. And, we’d love to have your input! For four decades we have generated scoliosis awareness, provided patient education/support/communication, trained screeners, facilitated/funded research (cause, prevention & cure), and advocated for early detection and treatment to minimize the physical, emotional and financial burdens affecting patients, and families, living with abnormal curvatures of the #spine. Your input to our site design effort is important and appreciated. What do you suggest we include on our new website? What information or resources would you like to see to better help you, your family, the greater scoliosis community and/or our mission? What should we add to ease the scoliosis patient journey and improve the quality of life for all? We are planning some exciting new features, but we value your thoughts and are eager to listen to your needs. No idea is too big or too small. 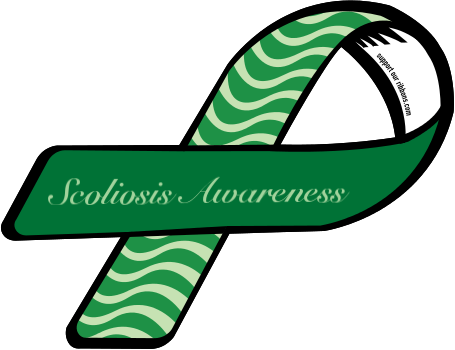 Please email your input to nsf@scoliosis.org. Thank you to all the doctors, clinicians, nurses, healthcare/government officials and patients & family members who are working to spread the scoliosis awareness campaign throughout the U.S. and to many countries around the globe, from Canada, to the U.K. and as far reaching as Turkey. We need a strong collective voice advocating for early detection and treatment to ensure that children and families receive the optimal care they deserve. A special thank you to our local policy makers, providers, and school nurses for their continual support for more than thirty years.